Hi everyone! Today it's Monique sharing an "Anchors Aweigh" layout. Once in a while I love using watercolor paints on my projects and so it happened that when I started on this page I pulled out my children's watercolor paint box and got messy. Once the paper had dried (and I had tried to flatten it again) I began thinking about what next. I had this adorable photo of my hubby and our oldest son which I definitely wanted to use. As I love large titles on my layouts I decided to go look for one and found this "love you" cut file, which I really liked. 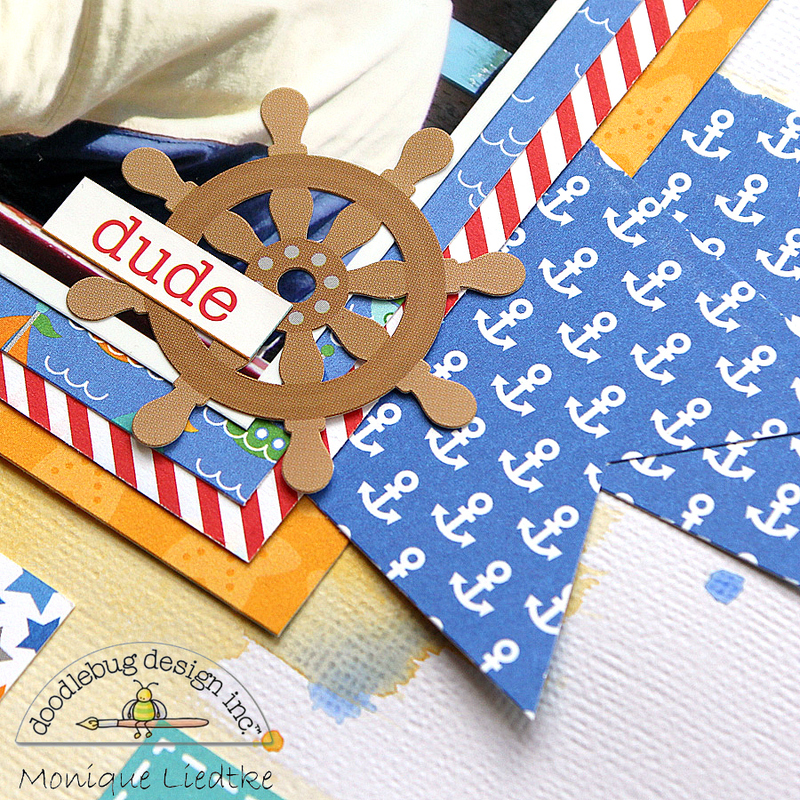 I loved the colors of the "New Adventure" paper and decided to use it to cut the title from. 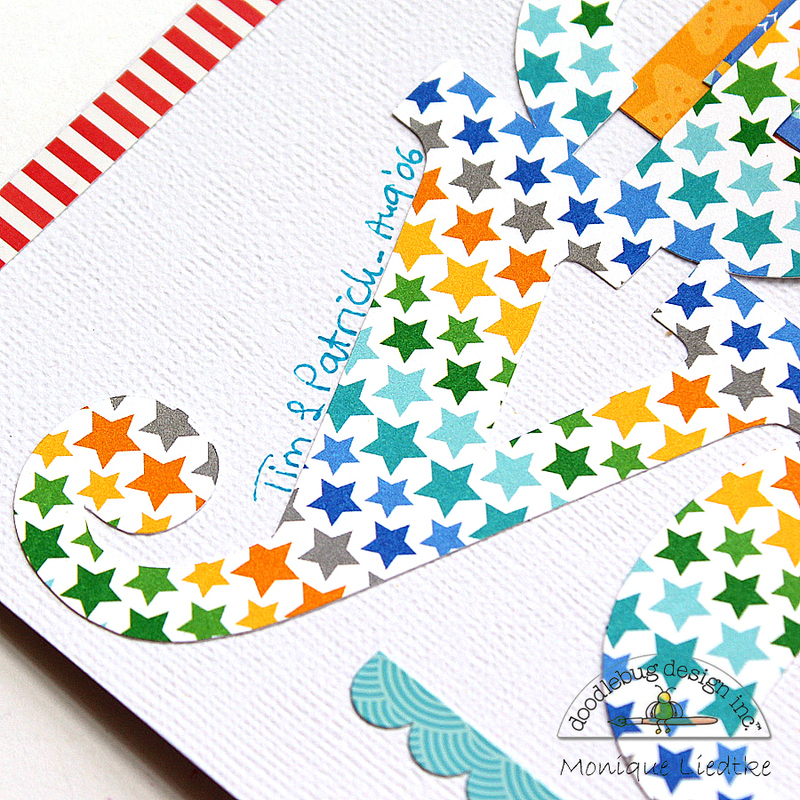 The angle of the title determined the design of the rest of my page and I just went with it. I matted the photo, added some stickers and flags and placed the lot in the corner of the title. 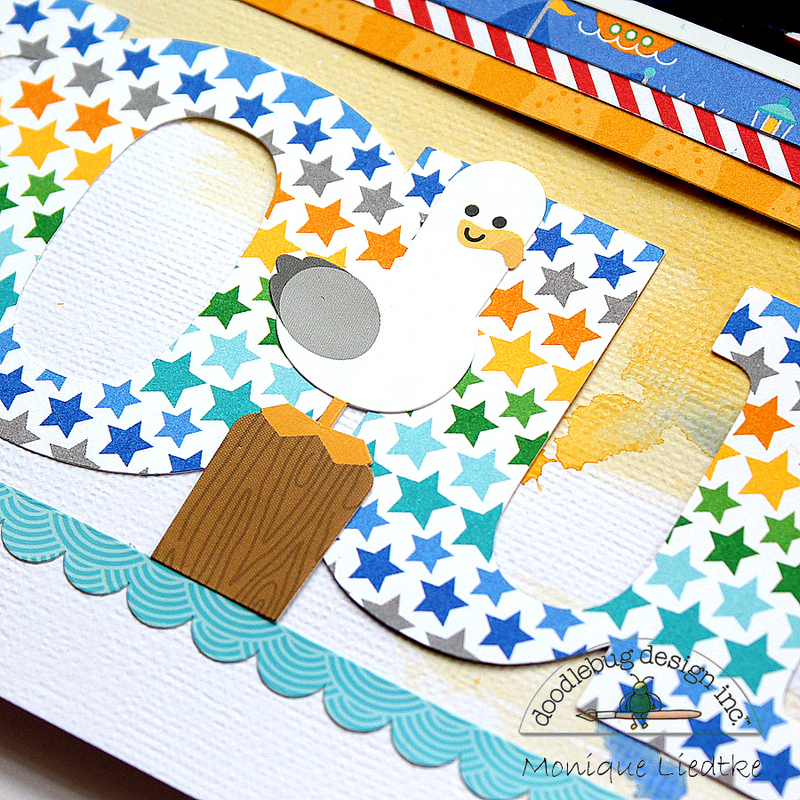 Next I added the three squares with the little ships which I cut from the "Buoy O' Buoy" paper and I added the sticker of the sea gull on top of the title. Isn't he adorable? Last but not least I added the fancy frills and the names & date and I was done! Thank you so much for visiting the blog today! Wishing you a wonderful day! Fabulous layout Monique!!! I love the big title!!! What a wonderful way to showcase such a special photo! 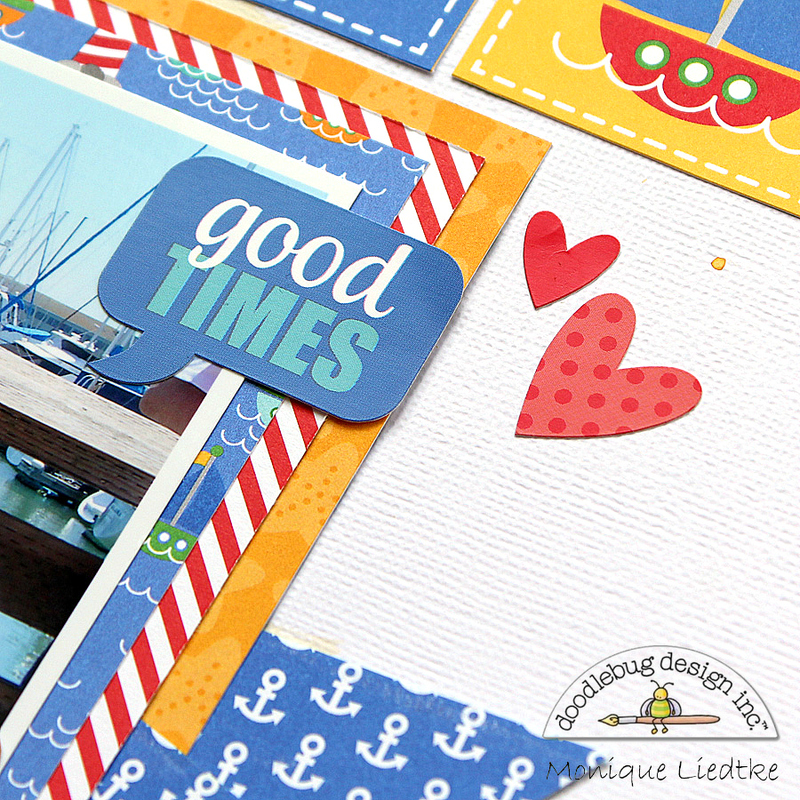 Really fun and creative LO!